Even a dreamer can start a revolution. Review: How cool does this book sound? I mean, it is sort of like all the others. Its set in the not-so-distant future, and something plagues the Earth making some people more than human. Those who are normal start to live in fear of what they don’t know and all hell breaks loose. I actually really enjoyed this book a lot. There was a lot of information dumping but that didn’t bother me. it allowed me to create this world in my head. Every detail creating an image in my mind. This information dumping however, causes the book to read a bit slower than most in beginning as so many new terms are introduced at once. But as they are figured out you get sucked into it. I liked Paige’s character and the subtle relationship that grew between her and Warden. To everyone that thinks this book has a sexual slavery undertone can just stop. Lastly, major kudos for having a character named Danica. I have never seen my name in literature before and that was so cool. 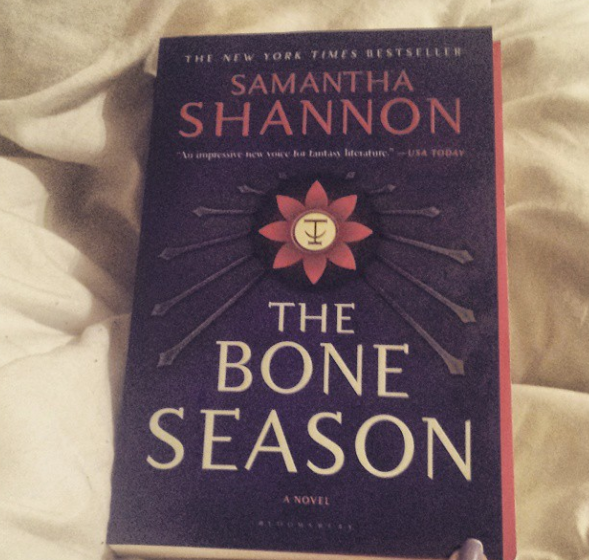 This entry was posted in bone season, books, review. Bookmark the permalink.